Storytelling is the oldest form of teaching and probably the best way to learn. Recent research indicates our brains are actually “hard wired” to remember information in storytelling format (Willingham, 2004). Storytelling has received a wealth of support as an important teaching tool grounded in constructivist learning principles (Stanley and Dillingham, 2010). Digital storytelling is storytelling that contains some mixture of computer-based images, text, recorded audio narration, video clips, or music. We have created digital storytelling projects with Alaska Natives, in Irish schools, with undergraduate and graduate students in education, and with inner-city populations in the southern United States. No matter the group or location, digital storytelling captivates, engages, and educates. When it comes to learning language with new media it seems our students are En La Frontera — on the border — having two separate lives. Like digital natives, most of our students have been surrounded by computers, the Internet, mobile phones, iPods, digital cameras, and video games since a pre-school age. They often are more comfortable with technology than their teachers. Paradoxically, today’s students — except for most children of poverty — live a digitally-saturated life away from school, but live a relatively digital-free life at school (U.S. Department of Education, 2010). Many teachers have not had the preparation to integrate technology in their classrooms, or emphasize it in their language teaching (Velazquez-Torres, 2006). 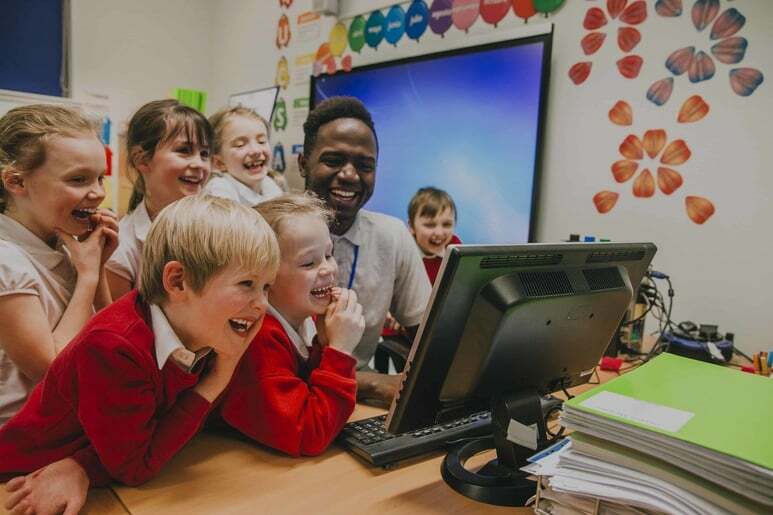 To connect learning literacy, language, and the ubiquitous technology that surrounds us, we suggest teachers take a close look at digital storytelling and what it has to offer. Create a Story, Not a Bad Movie! We contend that digital storytelling instruction will be most successful with second language learners if grounded in constructivist learning principles and informed by the professional standards for both students and teachers (see resources). Furthermore, we believe that the learner’s storytelling is more important than the technology. Technology can enhance a story. However, an engaging story with an interesting beginning, problem, solution, and ending should be the driving force behind any project. What our students are saying should always be more important than how they are saying it. We’ve come to the same conclusion as digital storytelling expert and author Jason Ohler (2008, p.6): “All technology is an amplifier… and what happens when you give a bad guitar player a bigger amplifier? Ouch!” That is to say, we have been part of incredible digital storytelling projects of which any teacher, parent, or community member would be proud, but we have also witnessed others (not by our students!) that left us with the same feeling one gets from a Hollywood movie that concentrated on special effects only to let bad acting, empty dialogue, and a weak story ruin the film. No technology or special effects can replace a well-developed story complete with literary elements and personal voice. not a lecture, “talking head” approach. analyzing and reflecting on language and its use. •	Practice contextualization, the meaningful use of language for real communicative purposes. communicate authentically and purposively with others. •	Integrate the skills of critical thinking, analysis, synthesis, research, negotiation, and community building. •	Integrate skill development (e.g. word study, pronunciation, fluency, comprehension, spelling and grammar) in meaningful context. recommended software programs used to do digital storytelling: Microsoft Photostory, Apple iMovie, Adobe Photoshop Elements, and Adobe Premier Elements. •	Tell personal stories about self, family, pets, ideas, and experiences, using sound, expression and movement. Create a visual portrait of the story. Rehearse and perform for class. Practice retelling another’s story. •	Write a narrative paragraph about yourself using a word processor or dictate to a teacher or capable peer, use a spelling and grammar check, and share with others through email, blog or other social network. •	Learn how to record personal stories with the proper pacing, inflection, and tone using a microphone and computer recording software. •	Collect visual, audio and other sensory materials to tell a story. Use search engines to find images, music, and sound effects in the public domain and download to the desktop to create a PowerPoint presentation of a story. •	Learn to use authoring software with online tutorials such as Movie Maker, iMovie and Photostory to do creative retellings of favorite stories, books, and events. •	Enter a video production contest and film stories of historical events or scientific discoveries from multiple viewpoints. •	Research different folklore and tell urban legends in a digital storytelling festival via a podcast, webinar or YouTube. •	Produce a digital recipe book with interesting stories compiled by your class, disseminate through DVD, and sell it as a fundraiser. Advanced digital storytellers use story as a powerful, community-changing tool when they share their voice and leverage technology as experts, continually adapting and learning to creatively and responsibly work and play in a globally competitive workforce. •	Explore identities through storytelling about gender race and culture. Learn new technology tools and techniques from an online mentor. •	Challenge familiar stories about controversial people and events by examining what is missing or underrepresented. Consult a reference librarian and learn new online research databases. •	Interview recent immigrants and retell their stories creatively (e.g. children’s Ebook, claymation, puppetry, a musical, or storytelling festival). The following are some general instructional strategies for teaching and improving live and digital storytelling performances that should be used at all levels. Use modeling, feedback, discussion, and guided practice. We have used the following simple but very powerful discussion process effectively to evaluate child and adult storytelling performances at all levels. After the storytelling performance, ask the audience, “What did the storyteller do to make this a good storytelling? What sounds, expressions, and movements did the storyteller do well?” You want students to focus on how the story was told, not the content. Specifically, you want them to think about how well the storyteller used sound, movement, and expression to tell the story. After several students have shared the positives, ask “What could the storyteller do to make the performance even better?” You want the performer to internalize the process so it becomes self-evaluation (“What can I do to make my performance better?”). Model the language of response and criticism. Teachers must model constructive as well as critical feedback without using harsh words in order to teach effective storytelling. Ask, “What did I do to make this a good storytelling?” and then model a positive response: “I liked the way you moved like a fish, spoke loudly enough, made that train sound. Follow up with, “What could I do to make it even better?” and then model a response like the following: “To make it even better, you might want to speak up louder, pretend to be talking into a phone, look scared when the door opens, etc.” Storytellers learn to use variations of these two questions. This language is polite yet direct and useful to the storyteller so he or she can improve the story. 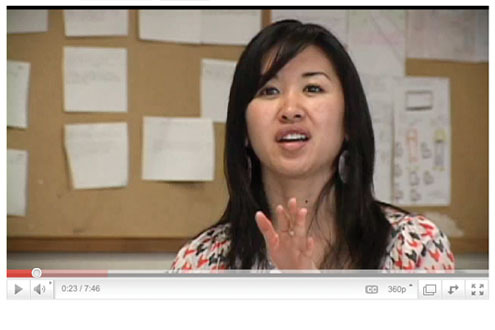 Tell stories or view digital ones in small groups and get feedback. Students tell their stories to a group of three to five of their peers, integrating sound, expression, and movement. Tell the storytelling audience to pay close attention so they can provide feedback about the performance. Upon finishing the story, the storyteller asks the group, “What did I do to make this a good storytelling?” Tell them not to speak out but to raise their hands and wait to be called upon. After two or three responses, the student asks, “What could I do to make it even better?” The group responds with the appropriate language, modeled by the teacher. In this process, students become open to being critiqued as storytellers (and as writers). Students can retell their stories and target specific techniques from the Storytelling Performance Rubric below that they wish to improve, such as remembering to use different voices for different characters. After students perform their story again, the group can respond with feedback about how the storytellers improved upon the targeted technique. This type of guided practice increases confidence and improves performance. Is the story engaging, with an interesting beginning, problem, solution and ending? Is the story told with enough detail to be coherent? Does the story have a clear purpose and point of view? Is the voice narration clear and match the story line? Does it and flow well with the content and images? Does the pacing of the narrative keep the audience engaged? Are grammar and language use correct and appropriate for the telling of this particular telling the story? coordinated with the different scenes in the story? Does the music match the story line and tone? Does the author have a title and credits page? citation/permission for any copy written material? We shortchange our students when we say the technology we use is too expensive, complicated, or distracting to integrate with language learning. According to educator Jason Ohler (2010), author of Digital Community, Digital Citizen, a primary mission of educators should be to help students understand not only how to use technology, but more importantly, when and why. Technology is redefining our roles as citizens in today’s globally connected infosphere. Digital storytelling (Stanley and Dillingham, 2009) offers an easy way for language educators to integrate technology with teaching, and to help students blend personal empowerment with community responsibility. Technology Standards for Language Teachers http://www.tesol.org/s_tesol/sec_document.asp? Adams, C, (1999). “Digital Storytelling.” Instructor.119 (3).,35-38. Hull, G. A., & Katz. M. L. (2006). “Crafting an Agentive Self: Case Studies of Digital Storytelling.” Research in the Teaching of English, 41 (1),43-82. Ohler, J. (2008.) Digital Storytelling in the Classroom: New Media Pathways to Literacy, Learning, and Creativity. Thousand Oaks, CA: Corwin Press. Ohler, J. (2010). Digital Community, Digital Citizen. Thousand Oaks, CA: Corwin Press. Sadik, A. (2008). “Digital Storytelling: A Meaningful Technology-Integrated Approach For Engaged Student Learning.” Educational Technology Research and Development, 56 (4) 487-507. Stanley, N. & Dillingham. N. (2010, November). “Telling Tales: Nile Stanley and Brett Dillingham Explain the Benefits of Teaching Performance Literacy through Storytelling.” Language Magazine, 10 (1), 27-29. Stanley, N. , & Dillingham, B. (2009). Performance Literacy through Storytelling. Gainesville, FL: Maupin House. Willingham, D. T. (2004). “ Ask the Cognitive Scientist: The Privileged Status of Story.” American Educator, 28(2) ,43-45;51-53. Nile Stanley ([email protected]) is an associate professor of Childhood Education at the University of North Florida. Brett Dillingham ([email protected]) is an internationally known storyteller from Juneau, Alaska and director of the Performance Literacy Institute. Nice weblog! filled with fantastic info. I can see myself becoming a normal visitor to this spot. Hello! I’ve been reading your blog for a long time now and finally got the bravery to go ahead and give you a shout out from Dallas Texas! Just wanted to mention keep up the fantastic work! Excuse me if I’m writing this in the wrong place, but does anyone on this site know where I can find opinions on a company in the Us advertising an IT sales job? The corporation is LTJ Management, LLC located at 900 Congress Ave., Suite L-150, Austin, TX 78701 (512) 895-9500. I’m relocating to the US shortly and any support would be valued. Thank you. composed by sbsbsb0416 Magnificent goods from you, man. I’ve understand your stuff previous to and you’re just extremely fantastic. I really like what you’ve acquired here, really like what you are stating and the way in which you say it. You make it enjoyable and you still take care of to keep it wise. I can’t wait to read far more from you. This is actually a great site. Great post, thanks for sharing such nice info that is really very beneficial, thanks again. I’m no longer positive whether or not this post is written by means of him as nobody else recognize such targeted approximately my problem. You are incredible! Thank you! What’s happening, excellent websites you possess there. easily. There are several ways to improve your kitchen design. checked regularly to ensure that it is always equipped to contain any accidents. up and hamper airflow like the HEPA filters in bagless vacuum cleaners. Technology is redefining our roles as citizens in today’s globally connected info sphere. Digital storytelling offers an easy way for language educators to integrate technology with teaching, and to help students blend personal empowerment with community responsibility. Why not team up with your canine friend and get a dress that matches your theme. to read content, except this blog offers quality based writing. my view its truly amazing designed for me.